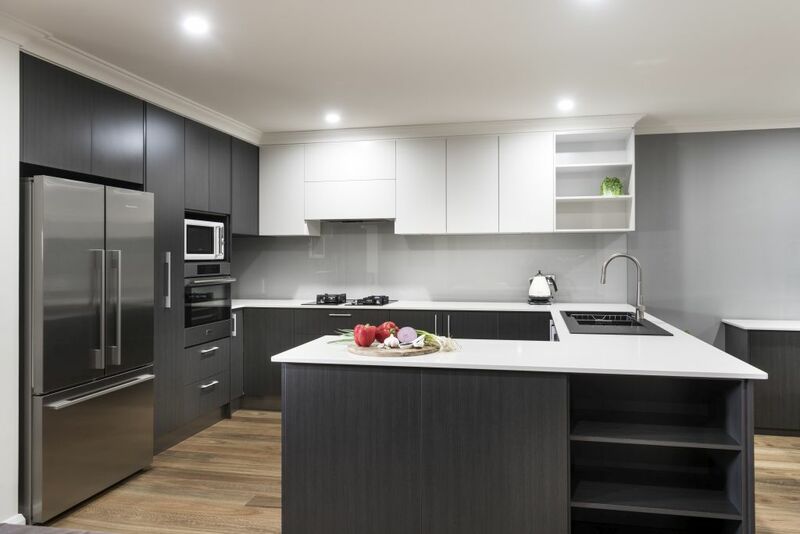 Made for a family who loves to cook and entertain, this modern kitchen is streamlined, functional and has great storage. 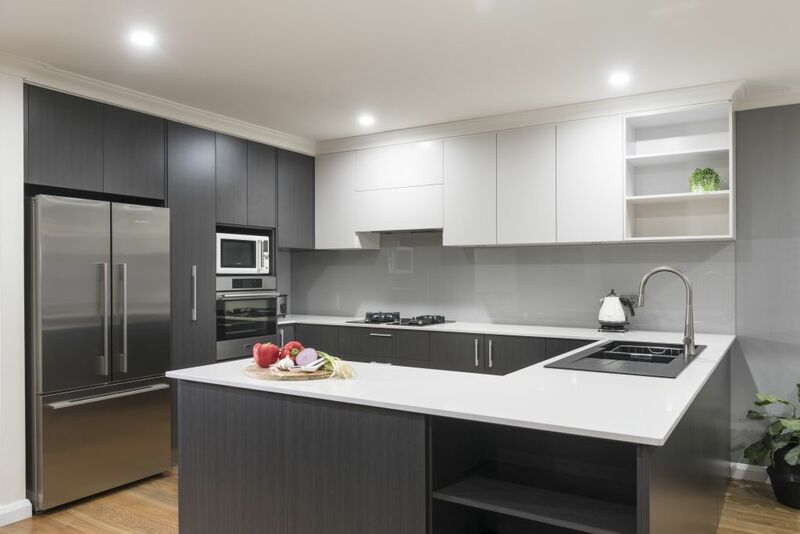 The usual updates were part of the renovation: replacing cabinetry, changing doors to soft-close drawers, and updating the colour scheme from beige to charcoal and white. The old corner pantry was taken out and a pull-out version installed. This allowed more storage room, including a corner area to serve as an appliance nook. 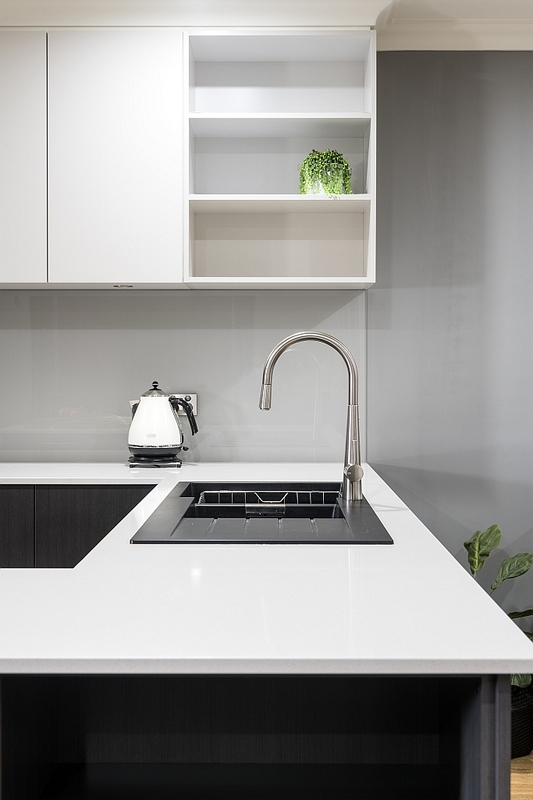 The extensive bench space is a cook’s dream, as are the pull-out sink mixer and black 1+3/4 bowl sink. 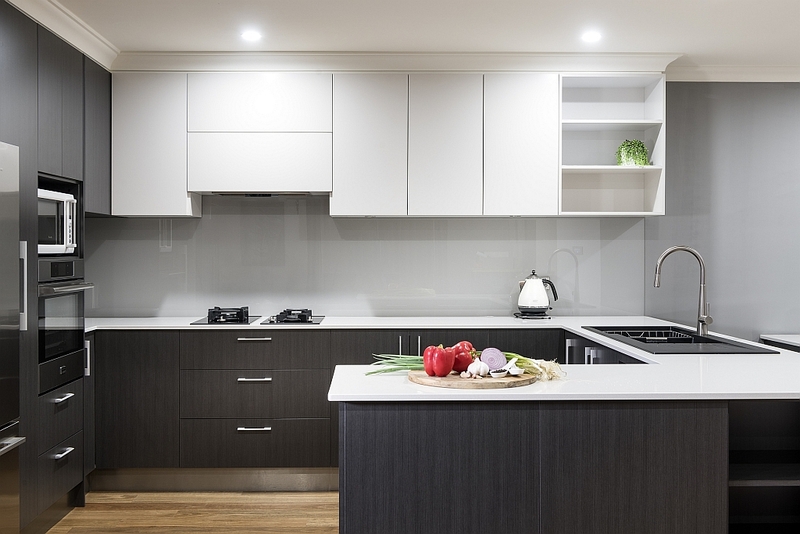 A soft grey glass splashback and under-cabinet lighting give more brightness to the space – both for culinary tasks and visual delight. 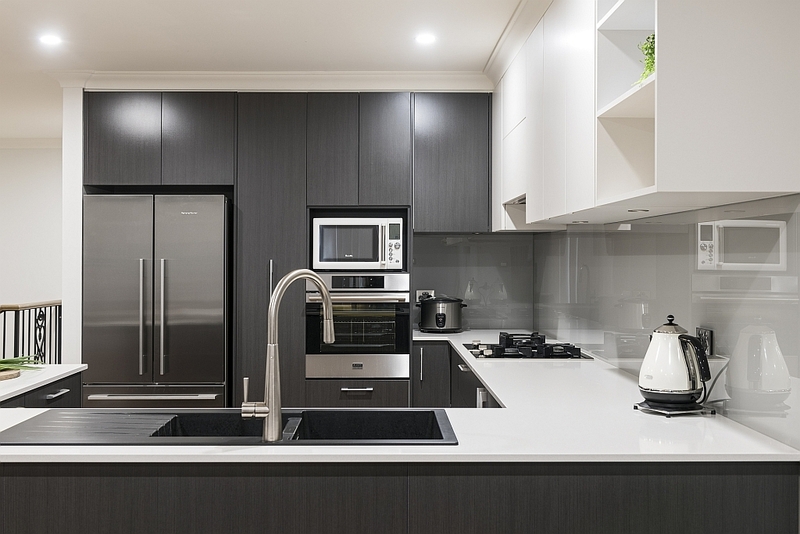 Learn more about our kitchen makeovers.